A highlight question is a word-based question that allows a student to highlight words, sentences, or paragraphs in response to a stimulus. In the Compose Question field, enter the instructions for the student. Click the Edit Template button, and add the text for the question. Click the Edit Tokens button. Next, click on each word that you want to make available for highlighting. If you do not select the word, the student will not be able to highlight it when they answer the question. You can also select entire sentences or paragraphs. In the Set Correct Answers section, enter the amount of points for each response. Click on the correct responses to highlight the correct answers. Click on the carat to show More Options. 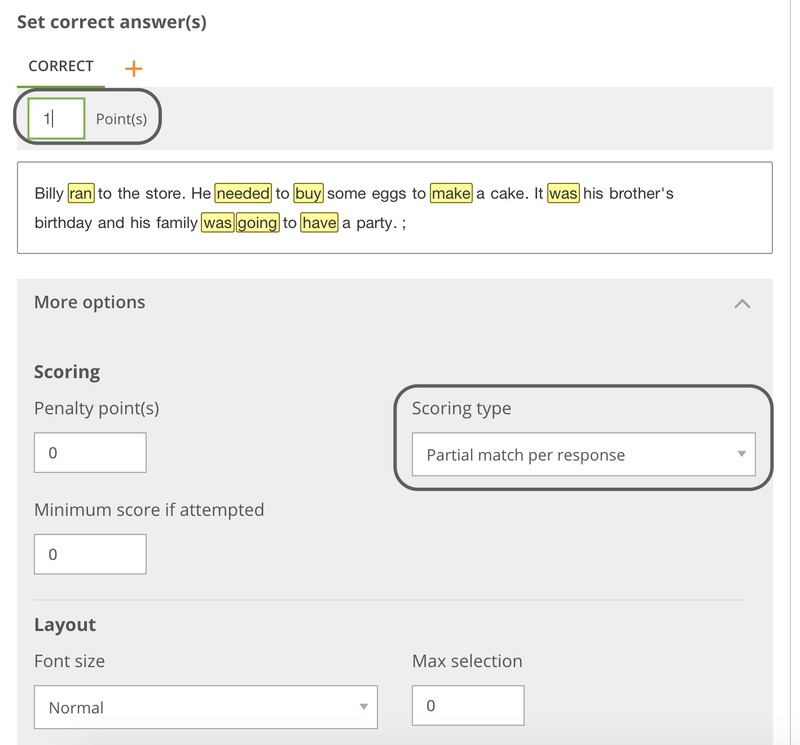 Select the scoring type from exact match, partial match per response or partial match.